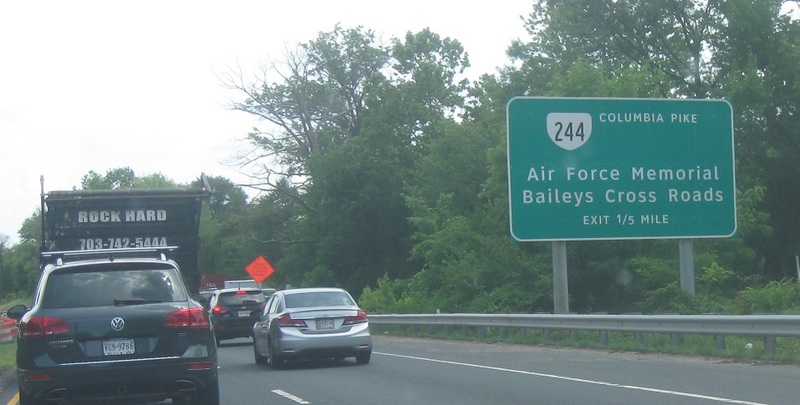 As 27 begins, it approaches SR 244. 1/5 (unusual!) 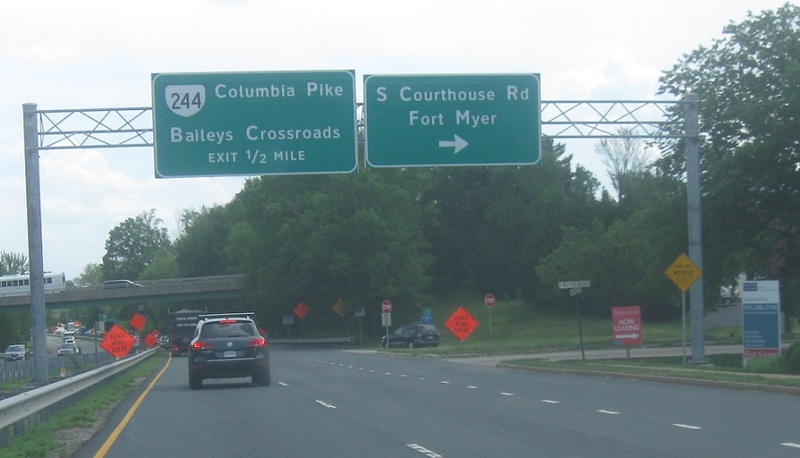 mile to SR 244. 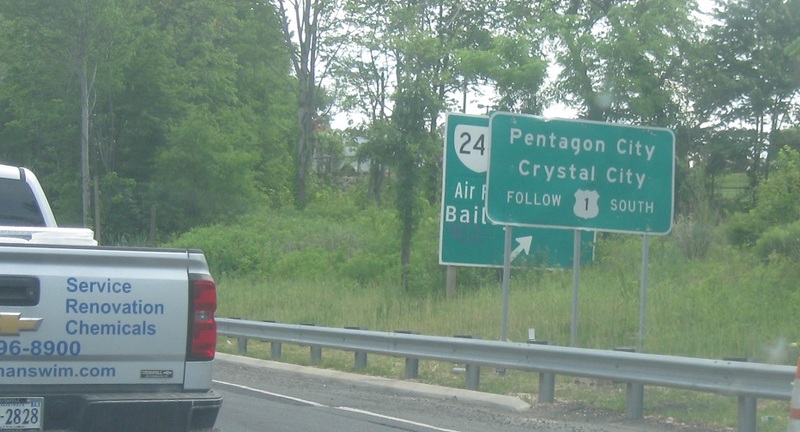 But first, we’re reminded to use US-1 south to access Pentagon City/Crystal City. 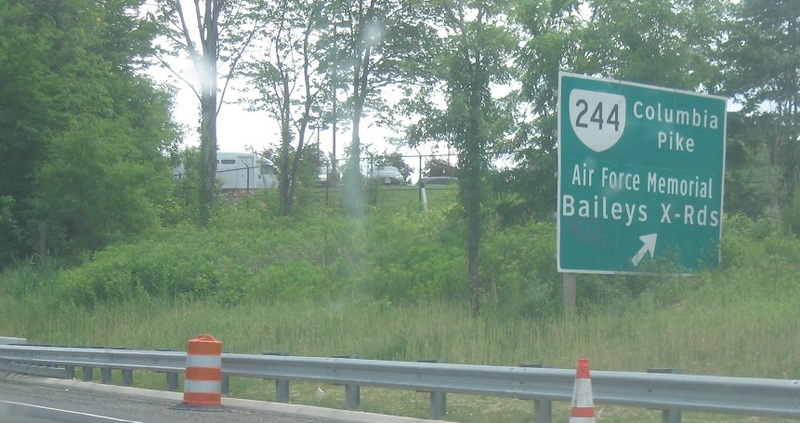 Exit for VA 244, according to this very ugly sign.